NEWPORT, RI--(Marketwire - Sep 12, 2012) - With the passing of Labor Day the Christmas holidays are less than 3 months away, and many are wondering "where should we go this year?" See holiday availability for Caribbean villas and hotels. 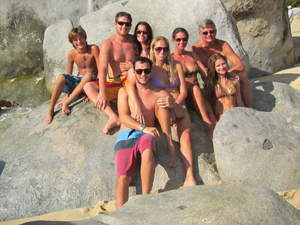 WIMCO Villas has been helping families arrange Caribbean island vacations for almost 30 years. Whether it is a private 4 bedroom villa with lap pool on St Barts, an intimate family friendly hotel in the Virgin Islands, or a large villa with a butler and a cook on Barbados, WIMCO's product specialists have the island and property expertise that you need when sorting through options. Inquire about available villas, hotels and flights today at info@wimco.com, and let WIMCO take care of everything. From the US call 1-800-449-1553. From the UK, call (011) 0870.850.1144. * Private villas and Intimate hotels represented by WIMCO that were available for the holidays as of Sept 10. Availability is changing every day, so we advise guests to make their holidays plans soon. Recently featured on The Today Show, WIMCO Villas is an award-winning luxury villa rental company, providing access to some of the world's most beautiful and exceptional private villas, along with concierge travel services before, during and after the vacation. WIMCO has received numerous accolades including Condé Nast Traveler magazine's "Best Presented Villas," best luxury villa company by Travel & Leisure magazine, FORTUNE magazine's "Top Villas Companies in the World," and FORBES "Best of the Web." WIMCO Villas' agents have intimate knowledge of the villas in their portfolio, and can tailor make a villa vacation to suit each client's needs, whether it be arranging for private chefs, yoga instructors, yacht charters or simply a restaurant reservation. WIMCO represents villas on St Barts and 12 other Caribbean islands, as well as Italy, France, Greece, Hawaii and Nantucket, and publishes the Vendome Guide series of villa vacation guides.